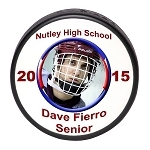 Senior Gift Sports Balls are a terrific and unique way of commemorating a Senior Player's career. 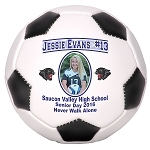 Sports balls can be custom designed in school colors with school logo or mascot. We can design the sports balls with individual player photo or all the seniors in one photo. 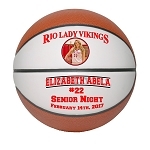 Individual player names and stats can be added, along with player numbers, or anything else you would like imprinted on the ball. All you need is a high resolution photo and supply us with the information. 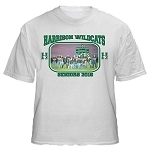 Varsity Imprints will custom design several layout for you to choose from. We have a quick turn around time for rush orders. Once you approve the design, we can usually imprint and ship the order within 48 hours.